UPDATE: This question import template also works with Storyline 2. The process is virtually identical. 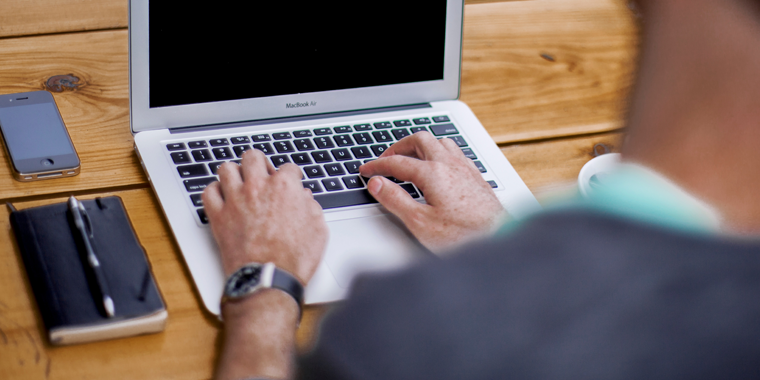 See this tutorial for details on importing your Excel spreadsheet into Storyline 2. 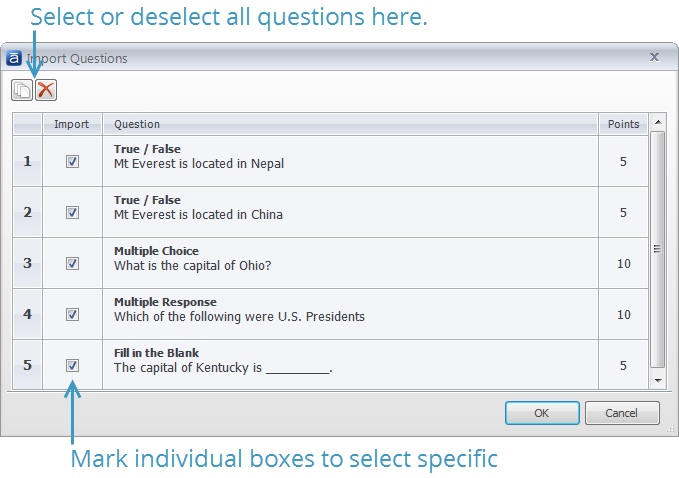 One of my favorite new updates that came in Articulate Quizmaker ’13 is the ability to import questions from text and Excel files. This feature has the potential to save you and your subject matter experts (SMEs) a ton of time managing the questions in your e-learning courses. To prepare my import file, the first thing I did was create a simple fill-in-the-blank form in Excel. It’s a great way to organize your question set and collect questions from geographically dispersed SMEs or clients. The beauty of the Excel template is that anyone can easily write, share, and review the questions, which you can then import directly into Quizmaker. It’s a great way to guide SMEs providing questions for your course—just send them the template and ask them to fill in the blanks. Or, better yet, post it in a shared location online and watch the questions roll in. Download a copy of the template. When you open the template, Excel’s built-in protections might open this file in Protected View. If you see the yellow Protected View message bar, click the Enable Editing button so you can work in the spreadsheet. Since this template has some built-in macros, you may also see a yellow Security Warning message bar. Click the Enable Content button to allow the macros to do their thing. Hopefully, it’s pretty straightforward to use the template. Take a look at this video walk through below to see how it works. You can also grab a printable job aid that covers the basics of working with the input form. 1. Create a new quiz, or open an existing one. 2. Click the round Articulate button in the upper left corner, and select Import Questions. 3. Browse to the Excel spreadsheet that contains the questions you want to import, and click Open. 4. Quizmaker displays a list of questions from the spreadsheet you selected. Mark the questions you want to import. 5. Click the OK button to complete the import process. 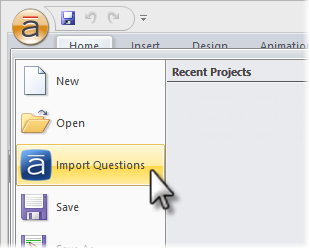 You can check out this tutorial for more details about importing questions. I hope this helps you and your SMEs save some time getting questions into your courses. If you want to try this yourself but don’t have Studio ’13, no problem. Just sign up for a fully functional, free trial. And don’t forget to post your questions and comments in the forums. We’re here to help! For more e-learning tips, examples, and downloads, follow us on Twitter. Fantastic! Thank you for sharing Mike :-) This is a great tool! Hi Mike... Great job on this; it will save us and our SMEs a lot of time... Happy New Years! Mike..thank you so much. Perfect for creating tests for my classroom. Thanks Mike! You Articulate guys and girls rock! Great template, thank you very much for sharing! Is there any way to require the * before the question can be added to the spreadsheet? Works for the trial version? Tried here a dozen times and only gives error. Is there a way to identify Question Groups in the template? I have an exam with 270 questions and 19 groups. All 270 questions are in the template. When I import them, they land in a single group. I do not see a way to delegate them to the appropriate groups upon import. As a result, I am left cutting and pasting (drag and drop) the questions into each group. Any shortcuts or ideas would be appreciated. Thank you! @shelly I think someone who is good with Excel macros or visual basic could set something up that requires the * for the questions. I don't know a quick, simple way to do it. @Jose What is the error message you're getting @Rochelle The questions will import into the selected Question Group. So if you create your question groups before you do the import you should be able to import questions directly to the right group. It might be faster if you created a separate import file for each group. Can I export quizmaker questions to excel? Hi Jose! There isn't a direct to Excel option. One way to get questions out of Quizmaker is to Publish to Word. If you know anyone who is good with Word, you could use Word's find and Replace function to get the questions into a table format which you could copy/paste into Excel. Hi Mike, I had downloaded the template and add few questions into it. But while importing quizmaker stops working and get hanged. Even i need to quit forcibly and no error message is there. I had tried number of times but it is not working fine. Hi Sahil! Could anything in the template have accidentally been changed maybe? Maybe try to do re-download the template ( or try this one http://articulate-tutorials.s3.amazonaws.com/quizmaker13/import-templates/Import_Template.xls ) and work with just a couple of questions to see if you have any better luck? Hi Mike, I had worked on the template and i want to ask you whether we can add audio for the quiz and feedback audio from the excel template itself. Sahil, the template doesn't import any media - only text. Hi Mike, Thanks for your response. I am trying to survey question e.g Likert or Short answer, but points field is the required field and while importing it to quizmaker it gives an error that points are not taken in survey questions. I am facing this error for all survey questions where points are not allowed. What will be the solution for that. Hi Sahil! Click the "Go To Database" button and delete the value in the Points column for any of your Likert or Short Answer questions. Then it should import into Quizmaker for you. There's any way to import an image from the excel spreadsheet?, this feature works well in ispring quizmaker? (I mean adding a column like \\image or \\picture or adding a comment inside the question cell, like blabla[C:\\image.png]? ?